With population approaching 88 million in 2015, Egypt is the most populous country in the Middle East and is expected to add another 12.3 million inhabitants by 2020. Per capita consumption of retail tissue in the country stands at less than 1 kg compared to anywhere between 9 kg and 14 kg per capita in the developed regions, thereby offering a significant potential for further industry growth. In pursuit of this growth, domestic and international manufacturers have been investing in tissue production in the country. One of the latest projects by Turkey based Hayat Kimya is set to open in 2016, with a production capacity of 70,000 tonnes of tissue per year. However, in recent years, political conflicts and protracted transition in Egypt led to sharp drops in economic growth and resulted in a significant rise in unemployment. The country also saw a fall in foreign investment and tourism revenues, a 60% decline in foreign exchange reserves and a devaluation of the Egyptian pound. 2014 shaped out to be the start of a recovery period with the country’s real GDP growing by 2.2% in 2014 and gains of 3.8% are expected in 2015. Public investment in infrastructure and growth in private final consumption are the main drivers for the modest GDP bump. Per capita disposable income in Egypt amounted to EGP 22,883 (US$3,235 at 2014 fixed exchange rate) in 2014, with modest further increases anticipated in 2015. Private final consumption rose by 2.2% in real terms during 2014, and gains of 3.2% are expected for 2015. On the other hand, remittances – a crucial support for consumer spending in the country – rose by 10.0% in 2014 but slowed down in 2015. Furthermore, the slow implementation of new projects, ongoing security concerns and a steep drop in exports remain a problem that looks to hamper all sectors of the economy and society. In the midst of the good and the bad, tissue consumption in the country remains centred on two main categories – facial tissue and toilet paper – while price sensitivity and budget concerns continues to play a crucial role in purchasing decisions of many Egyptians. In 2015, retail tissue volume in the country grew by an estimated 4% on the back of somewhat improved economic and more stable political situation for the larger part of 2015. Furthermore, the rise of modern retail outlets across the country’s urban centres continues to play a pivotal role in supporting consumer demand. Retail chains, such as Seoudi hypermarket operating seven outlets in Cairo, allow consumer access to a wide range of products at competitive pricing. Product and price promotions have increasingly become a common practice to attract shoppers. Growth in consumer tissue consumption is still coming primarily from large urban areas, Cairo, Alexandria and Ismaliya. Egyptian urbanites, however, show more preference for better quality products. This tendency creates a good platform for more innovative, better quality and value-added products. However, many urban households also remain price sensitive, and shoppers spend their weekends looking for best deals and lower prices. In the Delta and rural regions the consumption is mainly supported by a limited number of high income households, which purchase toilet paper and small packages of pocket handkerchiefs. The lower income households continue to rely primarily on traditional hygiene methods, such as water and washable cloths. Limited incomes and poorer demand for consumer tissue in smaller towns and rural areas impact the distribution and product availability in these areas, where retailers typically stock a limited selection of lower quality local products at a low price. Toilet paper remains one of the key tissue categories in Egyptian retail accounting for estimated 44% volume share of consumer tissue retail sales in 2015. The category also continues to see a positive trend in demand. However, increase in taxes and costs of living in 2015, along with major currency devaluation which saw the US dollar reach EGP 8.14 in late October of 2015, led to a consumer shift in purchase preferences, and many Egyptians turned towards smaller packaging for their immediate needs rather than buy in bulk and incur significant upfront costs. In 2015, sales of toilet paper in Egypt’s retail saw a marginal decline in value (US$ constant, 2014 fixed exchange rate). In volume terms, however, positive growth continued, from a little over 19 thousand tonnes in 2014 to close to 20 thousand tonnes in 2015. Packages of two, six and nine rolls are the most popular sizes in Egyptian retail. Leading toilet paper brands include Softis, Fine and Flora, ranging from EGP 3.00 to EGP 10.00 (US$ 0.4-1.3) for a pack of nine toilet paper rolls. With per capita consumption of toilet paper at just 0.2 kg, the category has a significant potential to grow. However, as mentioned earlier, traditional methods of cleansing – water cleansing and bidets – remain popular in many households, due in large part to low incomes and in part to cultural influences. Advertising and marketing of toilet paper in Egypt remains limited and mainly involves in-store promotions. While the latter can help to encourage purchases among shoppers already visiting the stores, lack of significant marketing to support the use of toilet paper in place of more traditional methods might be limiting consumer awareness and inhibiting growth. Facial tissue also continues to see a generally positive retail sales trajectory in Egypt, gaining another 4% in volume in 2015. Middle to upper income urban households are still the main purchasers of facial tissues. However, product ranges increasingly cover both premium and economy segments of the category and come in a variety of packages to encourage wider use, beyond wealthy households. In boxed facial tissue, for instance, Fine brand of facial tissues marketed by Al Bardi Paper Mill provides a more premium product range priced at EGP 4.00 (US$ 0.5) for a box of 200 tissues, while Romance brand marketed by Romance Tissue Company offers a value option with a box of 550 sheets retailing for EGP 4.50 (US$ 0.57). Similar to toilet paper, however, boxed facial tissue manufacturers rely mainly on in-store promotion to market their products, with other forms of advertising being extremely limited. Pocket handkerchiefs remain the most popular format of facial tissue in Egypt, accounting for 80% of the total facial tissue volume sales. The category also witnessed a growth of 4% in retail volume in 2015. The popularity of pocket handkerchiefs is mainly explained by convenience, portability and lower cost, compared to boxed options. While still very small in actual volume, paper napkins posted a healthy volume growth of 3% in 2015, following several years of negative sales trend. However, the key consumer base for paper napkins still comes from wealthy households. Just like in toilet paper and facial tissues, advertising of paper napkins is mainly limited to in-store promotions. Nonetheless, paper napkins have become more visible at festivities and gatherings by wealthier urbanites, in particular during Ramadan and Eid. High income households also show a tendency to purchase paper tablecloths, from full table cloth format to formats like table runners. Quality and visual presentation are important to wealthier consumer group, thereby creating opportunities to develop and promote better quality and design napkins as well as other paper tableware types. During the period 2013-2030, total disposable income in Egypt is expected to increase by a cumulative 76.8% in real terms – growing at an average annual rate of 3.4%. Additionally, relative political stability and improved economic conditions are expected to support further consumer demand for tissue products. It has to be added, however, that high level of price sensitivity among Egyptians can have a negative effect on the retail tissue if political situation and economic conditions worsen. Crash of the Russian jet in November of 2015 did not help the matters, rising security concerns and affecting negatively the tourism industry. In fact, the country expected tourism revenues to reach US$9 billion in the fourth quarter of the year. However, after the crash the figure was revised down to US$8 billion. Current Euromonitor forecast projects retail tissue volumes to see a healthy 3% CAGR through to 2020, driven by population growth, enabled by increase in disposable incomes, and encouraged by modernization of retailing that provides access to wider range of consumer tissue products and brands. Higher income households, especially in urban areas, will provide a platform for further industry growth and will encourage innovation along the lines of product premiumisation and sophistication. However, the majority of Egyptians remain price sensitive. This tendency will continue to influence the demand, with significant focus on affordable and essential products. Toilet paper and facial tissue will likely remain the key retail consumer tissue categories in the country in the foreseeable future, although demand for napkins will continue to pick up in high income urban households. On the other hand, kitchen towels will still rank low on the scale of household priorities, with expected only a modest 1% increase in retail volume sales through 2020. To drive consumption beyond wealthy urbanites, retailers and manufacturers will need to develop inexpensive quality products as well as build distribution and advertising strategies with emphasis on value and value for money. While consumer tissue industry in Egypt can expect a bumpy road ahead, long-term prospects remain positive. Low level of household penetration, coupled with urbanisation, modernisation and a rise in disposable incomes, create a good platform for future industry growth. 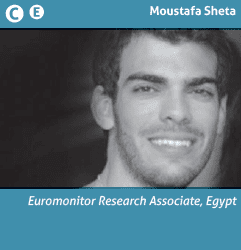 Share the post "Egypt: price sensitivity shapes consumer tissue demand"